Make way for Godzilla, King of the Monsters! Across the globe Godzilla has strucken fear, pride, and imagination into the minds of millions! Now, I plan on giving some back! I have dedicated this page to the monster king and am obligated to spread his wrath! Join me in my quest to spread his power! Make it so all can know that feeling of power flowing through their mind and body whenever they hear the words Godzilla, King of the Monsters! 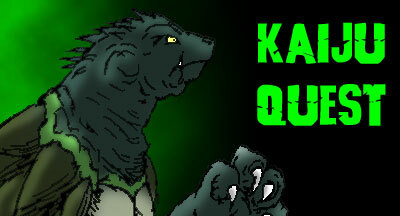 Use this banner to make a link to my page. Toho, please don't sue me for making this site, I won't sell anything, I just want a site to express my Godzilla fanhood with!